New Investment Models Have Operators Targeting Tight Oil And Hybrid Unconventional Reservoirs. By Vinod K. Dar. Middleware Solutions Integrate Software, Data In Value-Adding Workflows. By Dan Piette. Fundamentals Point To Demand Growth, Stronger Prices In Long Term. By Kevin R. Petak. Combination Of Factors On Supply And Demand Impact OCTG Inventory, Pricing. By Rick W. Preckel and Paul E. Vivian. Next-Generation Systems Optimize WBM Performance In Horizontal Shale Plays. By Tim Beims. Advances In Nanotechnology Hold Huge Potential Promise In Upstream Applications. By Kari Johnson, Special Correspondent. Advanced Technologies Optimize Artificial Lift, Production Operations. By Brian Dickson. 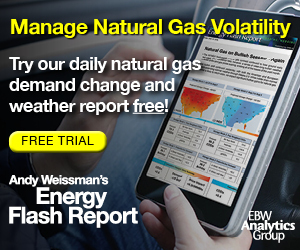 Emergence Of Gas Shales Profoundly Transforming U.S. Industry, Global Markets. By Andrew D. Weissman. Davy Jones Discovery Opening New Shelf Frontier In Ultradeep Geology Below Salt. By Tim Beims. NGLs Present Opportunity To Create Value In Shales With Liquids-Rich Gas. By Al Pickett, Special Correspondent. Denbury’s Business Model Demonstrates Feasibility Of CO2 EOR In Mature Fields. By Greg Schnacke. Independent Operators Plan Their Return To The ‘More Drilling’ Mode In Outlook 2010. By Bill Campbell.